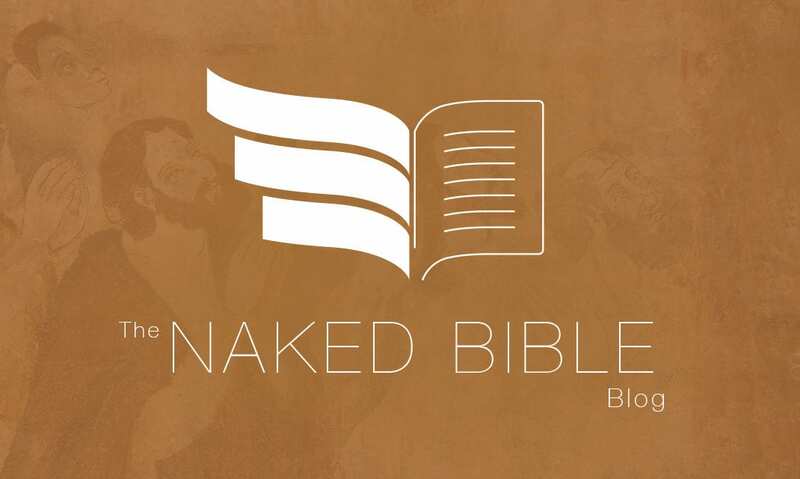 It’s exceedingly unusual for me to share emails here that I get from Naked Bible Podcast listeners, or folks who read my books, or someone who has otherwise benefited from the content I try to produce. But this one captures why we do what we do on the podcast that I asked permission to share it. It also reflects the dilemma in which so many of you find yourselves — trying hard to learn Scripture. I want you all to read it to get a sense of the problem, and why Naked Bible content needs wider exposure. In between your new episodes on Hebrews I’ve been listening to Leviticus. The whole thing makes so much sense when one listens in conjunction with the other! I’ve grown up in the Church (I’m not referring to a walled building), and I’ve been studying the Bible since I was 8 (I’m now 32). I’ve got a BA in Biblical Studies and am in seminary right now. I’ve read close to everything I’ve been assigned over all these years. Literally the only thing I’ve learned that has been new information to me through all these years of schooling has been Hebrew (and I’m not an expert at that!). I’m saying that in all my years of schooling (including Christian grade schools) everyone, even up to the master’s level, has been teaching the same Sunday-school level Bible stuff. I’m finally challenged to learn when it comes to you and all of the authors you’ve exposed me to! I say all of that to say that ever since coming across you around 2015 I’ve actually been learning new information. All these years I’ve been hearing the same old out of context stuff, and, like you often state, I’ve always known there was more to this. Since 2015 I’ve been reading so many other things that you’ve recommended, or that I’ve come across through being exposed to you. The scholarly realm was nothing before I “met” you. It was almost as if I didn’t know it existed (even though I knew it did). Now I’m reading N.T. Wright, Matthew Bates, John Walton, David Burnett, Ronn Johnson, David Tsumura, etc. The list goes on, and I’ve read many scholarly articles from people that I don’t even know their names (poor sentence structure there…). Anyway, this has been an amazing ride, and it seriously is exciting to study the word again. All these things, all your objectives, have come to fruition in my life. I’m sure you receive emails like this all of the time, and I’m just a number to you (just kidding! ), but seriously, brother, Yahweh is working through what you, Trey, and Logos are doing. For the sake of a semi-short e-mail I can’t get into it all, but just know that I’ve essentially become like you. That is, if it’s not scholarly and peer-reviewed I just don’t mess with it. I’ve since seen how often the word is taken out of context. Undoubtedly, there are many out there with no ill will, but the end result is that they’re still taking so much out of context. Another thing that I’ve learned from you is your kaleidoscope approach. If it doesn’t fit the system but it has truth, then don’t disregard it! I’ve not been a fan of these systems growing up, but it’s only enhanced all of this for me. Anyway, I could go on about all of this, but you get the point. Thank you for what you do. Please thank Trey for me (he’s the perfect co-host). May the Lord was your faithfulness to his word and to your commitment to all that goes into proper contextual interpretation. Did you catch the line “even up the master’s level” it’s all been regurgitating the same old stuff? I know he’s on target, because I lived this and was once part of the problem. That ended the day the Lord awakened me to the fact that I shouldn’t be protecting people from their Bible. That epiphany has produced other challenges, of course, but I’ve never regretted it. I’d like to say I just sort of figured things out, but I didn’t. I had to be shamed by the Lord and convicted of what I was doing. This is why we’re serious about “naked” content. I care only about what the text can sustain, not what a denomination, tradition, or famous preacher says. The Lord didn’t put me (or you) here to perpetuate a sub-culture. But that’s what so much of institutionalized Christianity does. Since we don’t care about being academically trendy either, scholarship isn’t the end point. Serious scholarship is a means to an end: The Bible understood in its own context, not some later, imposed context.